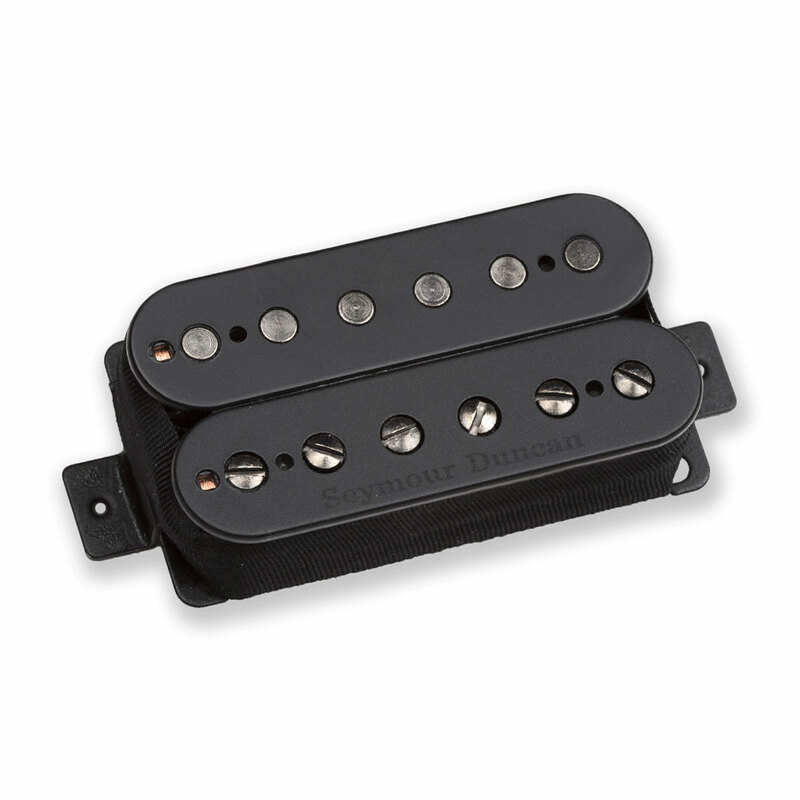 The Seymour Duncan Nazgul Bridge Humbucker Pickup is built to handle the deepest of metal tunings, the 6 string Nazgûl’s searing highs, grinding mids and tight bass define the sound of modern metal. By combining a large ceramic magnet with custom winding specs, the Nazgûl offers the perfect blend of note articulation, saturation, incredible harmonic content across all frequency range and an insanely tight bass response. The Nazgûl has a seriously aggressive high gain sound that is lively, yet completely controllable.